Contrary to popular myth, social media is not free. This is particularly true when it is used for the purpose of marketing a product or service. Many entities suffer from the financial burden of social media, but none more so than nonprofit organizations. How Much Does Social Media Marketing Cost for Nonprofits? It’s becoming increasingly rare for nonprofits to not be on social media platforms like Twitter and Facebook. After all, social media outlets make allowances for advertising, but they do so at a cost. At first glance, it appears that social media marketing will cost nothing, but this is not the case. The truth is social media is only free when one is merely setting up an account. Once advertising gets thrown into the mix, fees are assessed. If a nonprofit wants plenty of fans, followers and likes, it must pay the prices social media demands. The costs of social media marketing vary, but according to the Nonprofit Social Networking Benchmark Report, on average, a nonprofit can expect to pay $3.50 for a Facebook Like and $2.05 for a Twitter follower. That adds up to a serious chunk of change. 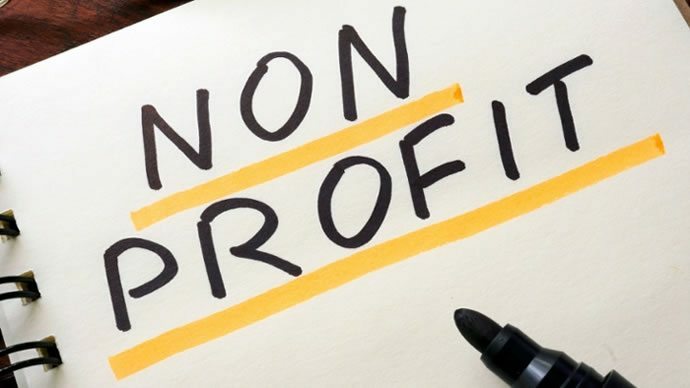 In light of the high costs of social media marketing, what’s a nonprofit to do? These types of organizations certainly can’t afford to throw money around, but they have to invest in marketing if they want their support bases to grow. A wise move for a nonprofit would be to consider how its marketing strategy might derive from existing business solutions. One comprehensive solution that ought to be considered is a social learning management system (LMS). A social LMS can enhance a nonprofit’s business operation and accelerate marketing efforts. Such a system has the potential to bring a nonprofit together so teams can collaborate, strategize and execute plans. This is valuable for a company’s marketing department, as well as other working parts. Market primarily through social media and pay the price in dollars and lost followers. Invest in an LMS that facilitates marketing and enables an organization to maintain a social media presence that draws, not repels, new followers and fans. It turns out that “free” social media marketing comes with a hefty price tag for nonprofits. Are you willing to continue paying the high price of social media marketing, or are you ready to give a cost-effective LMS a try?